It’s been awhile since we had an update on Warner Bros.’ Akira, the live-action adaptation of Katsuhiro Otomo’s anime/manga series. Now Deadline brings word that the film has been awarded a huge $18.5 million tax credit from the California Film Commission, and they also confirm that Thor: Ragnarok director Taika Waititi is still locked-in to helm. The Akira movie production team is expected to spend upwards of $92 million in the state of California. RELATED: Taika Waititi to Voice Bounty Hunter IG-88 in The Mandalorian! The reason the film is such a passion project for Waititi goes back to his childhood when he saw the animated movie upon it’s original release in the late 80’s. It is interesting to hear that Waititi is still in the frame to direct the large-scale sci-fi film, especially given that he was also just announced to write and direct a pilot for a series adaptation of Terry Gilliam’s Time Bandits for Apple TV+ and to play a role in the Fox film Free Guy opposite his Green Lantern co-star Ryan Reynolds. His busy schedule also includes the forthcoming WWII dramedy Jojo Rabbit in which he co-stars, as well as having directed an episode of Star Wars series The Mandalorian for the Disney+ streaming service. He also executive produces FX’s What We Do in the Shadows series as well as the other movie spinoff Wellington Paranormal. In addition, he signed a deal with Netflix in 2017 to co-direct the stop-motion animated film about Michael Jackson’s chimp called Bubbles with Mark Gustafson (Fantastic Mr. Fox), but it is unknown if that project has been scrapped or retooled in the wake of the recent controversy over the singer. Akira consists of six volumes and there are reportedly gong to be two films, each based on three volumes. A now-legendary Japanese animated film based on Akira was directed by Otomo back in 1988. The movie adaptation has carried this synopsis for years: Set in a future city environment called New Manhattan, the sci-fi epic follows the leader of a bike gang who must save his best friend, who has been experimented on by the government causing him to develop dangerous and destructive psychokinetic powers. Andrew Lazar (American Sniper) and Leonardo DiCaprio’s Appian Way are producing the film, for which the studio acquired the rights back in 2008. It’s had plenty of talent attached before. The closest it came to being made was in 2012, when Jaume Collet-Serra was to direct Garrett Hedlund, Kristen Stewart, Ken Watanabe and Helena Bonham Carter. 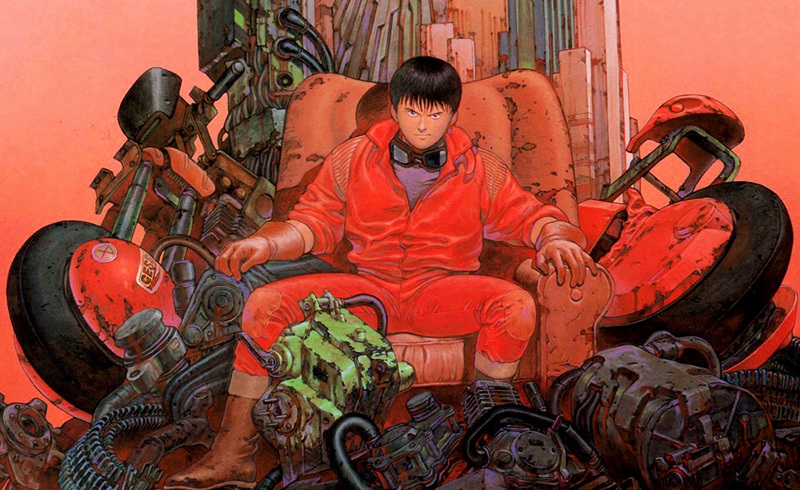 Are you excited about a Taika Waititi-directed live-action version of Akira? Who should be cast in the film? Let us know in the comments below!